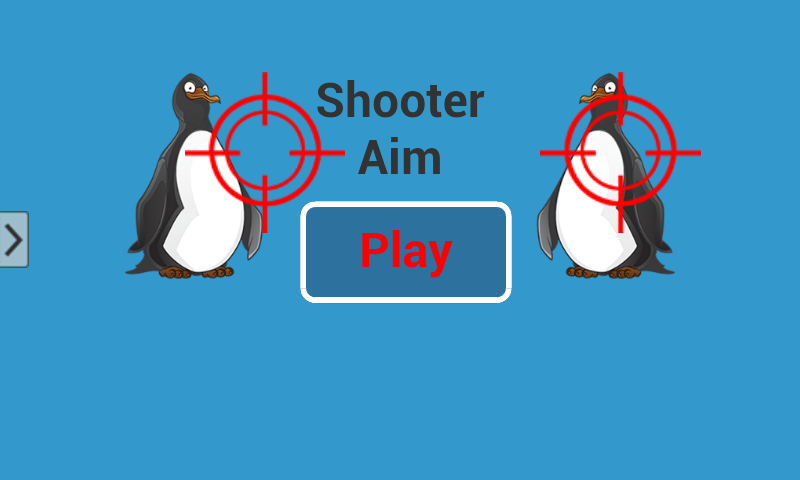 Shooter Aim - gaming app allowing you to test your shooting skills in a fun way. 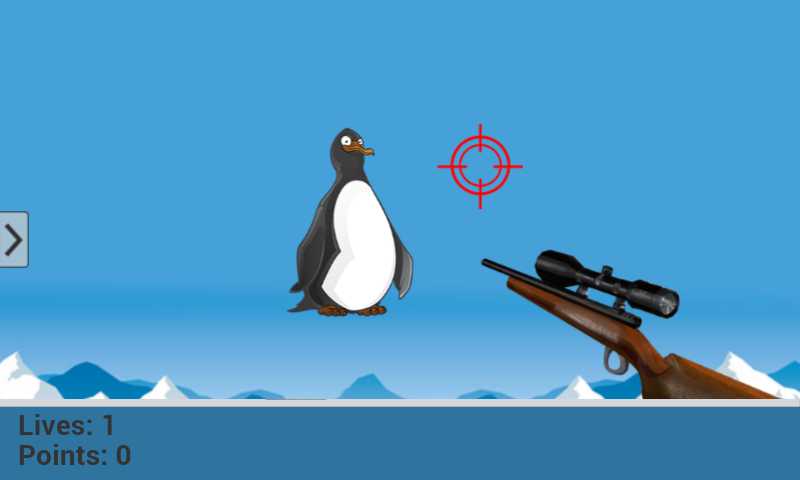 Enjoy the game, get your guns out and shoot the penguins. 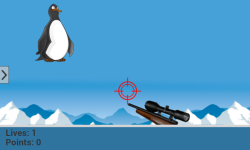 Take the challenge and see who is smarter you or the penguins. 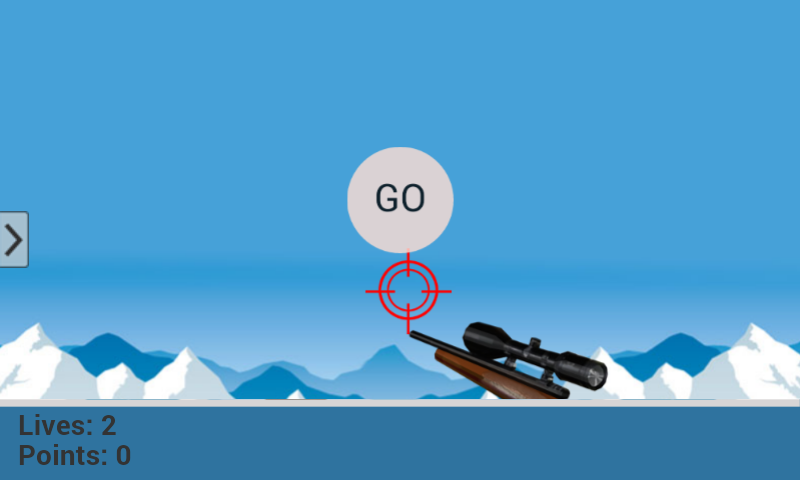 Tests your focusing ability skills. 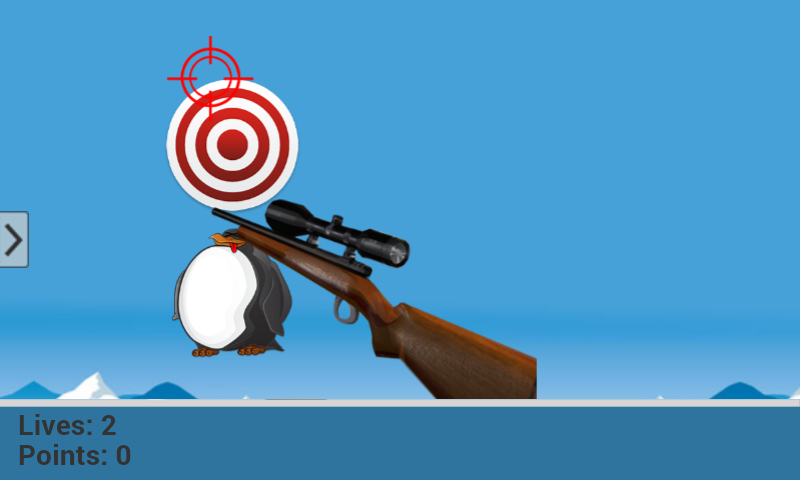 Your concentration levels. 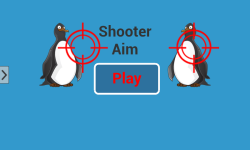 Ability to handle stressful situations. Claims your mind. How to play? Shoot the penguin and then to score shoot the target board it brings down after being shot.